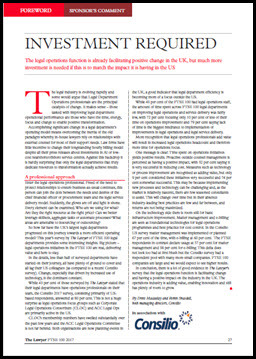 The legal operations function is already facilitating positive change in the UK, but much more investment is needed if this is to match the impact it is having in the US. Read more from Drew Macaulay and Robin Snasdell on how to transform legal department operations. This article first appeared in the 2017 FTSE 100 Report.